Hey dads, step-dads, grandpas, brothers, and dad-figures. Happy Father’s Day! Thank you for all you do to love, guide, and father the teenagers in your life. You’re incredible. This month, we’re hosting an event for teenage girls and the dads (or father figures) who love them. We’d love to see you and your kid there! Our world is not as it should be. There is pain, evil, and injustice all around us. In the age of social media, it is easier than ever to stay informed about all sorts of injustices, but is sending a tweet, posting a selfie, or sharing a video about an inspiring cause really all it takes to make a difference in the world? 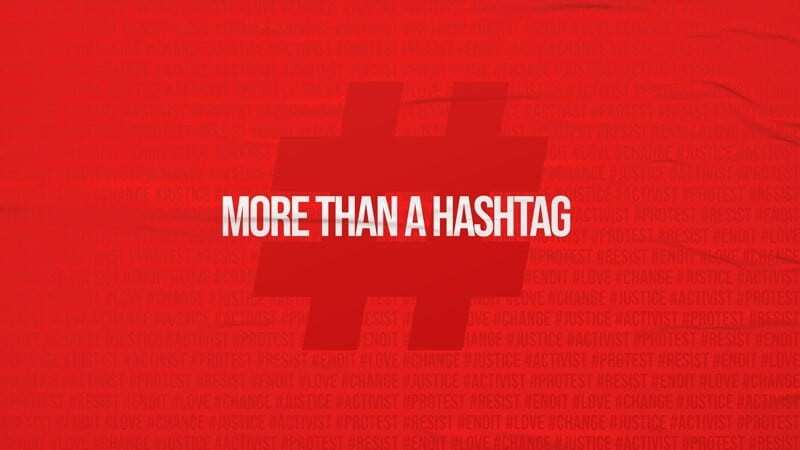 Or is it possible that justice is about something much more than a hashtag? In this 4 week series, you’ll challenge students to not just post about the injustices around them, but to actually do something about them by loving mercy, acting justly, and walking humbly. Hooray! You made it through another school year! We know parenting teenagers is hard, stressful, and anxiety-inducing. This month, here’s our tip for you. Take a deep breath. And another. Know that you are loved. We’re with you and we’re for you. You’re a great parent. If you’re subscribed to Grow Your Ministry, now would be a good time to attach Parent Tip Video #11 from your Parents section. Parenting teenage girls isn’t always an easy task. That’s why we love the book Untangled: Guiding Teenage Girls Through the 7 Transitions of Adulthood. Grab it on audiobook or get a physical copy. It’s worth the time! We consider our volunteer leaders to be the best link we have between our church and your family. So here’s a question: How often did you hear from your teenager’s leader this school year? Hit Reply and let us know!